Hi, a question about the floating licence and the internet connection. What kind of connection do I need to work on lumion? If I want to go and show to a customer a project at his place, can I put lumion on a laptop, and use the same licence that I use at home? ( I use a big computer at home)? How much time does lumion need to be connected to internet? Just at the start of the software, or at any time? If its just at the start, I can use my phone to connect to internet, but in the other case, does it mean I cannot work in a place there is no internet connection? >and use the same licence that I use at home? Yes, the license is floating. >How much time does lumion need to be connected to internet? >f its just at the start, I can use my phone to connect to internet, but in the other case, does it mean I cannot work in a place there is no internet connection? Yes at the start. You can also get an offline activation code when there is no direct connection, see lumion3d.com/support. We are working on an SMS service as well. This is a problem to me, as I've told Lumion's team several times, fortunately or not, I'm travelling continuosly in different countries and there are a lot of places where it's impossible reach internet's conection. Also in some places there isn't phone net, so, even how nasty is calling to keep your own license number and the cost for international call, many time it's really impossible. You can ask to Artur regarding this I've said you. Which are Lumion's solutions in these situations? Firstly was a keylock in Lumion 1 , and it worked. Afterwards was a code for each installation you could deactivate and activate in other computer (this allow prepare the laptop before any trip), and also was a good solution. but now? whats to do? The dongle was dropped for more reasons. One was the fact that the vendor dropped it, one was that we had continuous problems at te customs resulting in sad and angry customers. Activation/de-activation turned out to be too complex and not applicable in large enterprise environments. This solution is fully automatic, user friendly and applicable in a wide variety of business environments. Indeed, you can't use it when you are working in internet and phone-less environments. That is the price we needed to pay in this design. There are no plans yet to solve internet and phone-less environments. That is the price we needed to pay in this design. There are no plans yet to solve internet and phone-less environments. Hi tug, bear in mind that internet access is only needed when you start Lumion. We've offices in Asia, and my normal roundtrip for instance is Spain, Doha, I've stay 7-12 hours waiting for conection in Qatar before continue to Asia. Is usual I expend the all this time working. but there isn't possible reaching internet conection. The flight is 7.5 hours and is no possible to keep the laptop on, so... your idea isn't impossible and the situation is unconfortable as I've suggested. In other hand, for instance, where I have my hometown, there is also a house where we expend some days, far away from noise and population, working in some projects. There we have phone, but isn't possible internet conection, at least till nowadays. so it isn't impossible to do conection to Lumion. I've said, it's unconfortable, but not impossible. Sure I've to invent something to solve if you don't. HOW DO I USE LUMION WITHOUT INTERNET ACCESS? Let's say you're in an airport and you're using Lumion on your laptop PC before a long journey to your office in Vietnam. This option will save the state of Windows on your harddrive and then turn the PC off. A modern laptop should be able to stay in hibernation for weeks or even months on a single battery charge. Once it is done, everything including all applications, will be exactly as when you left them. You do not need to have internet access since you are simply continuing to use Lumion where you left it. You have internet access the first time you start Lumion before you leave home. You always use Hibernate mode. The only potential problem is if Lumion or Windows crashes for some reason - then you will require either internet access or phone access (once the SMS/Text Message service is up an running). CAN I BRING A LAPTOP PC IN HIBERNATION MODE ONBOARD AN AIRCRAFT? Yes! But if you are still worried about the cabin crew on an aircraft demanding that you choose the Shutdown option instead of the Hibernate option to turn off your laptop, please allow me to explain. Both Hibernate and a full Shutdown remove absolutely all power apart from the tiny amount of electricity which is required to maintain the system clock and allow it to respond to buttons. The only difference is that Shutdown shuts Windows down before powering down the computer, while Hibernate saves the current state of Windows to the hard disk and then shuts down. 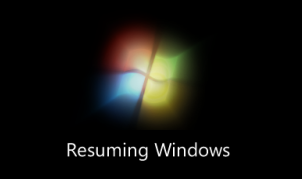 On start up, Windows has to start from scratch after a Shutdown, but only has to reload from the hard disk and resume after a Hibernate. For that reason, your laptop is considered to be turned off when in Hibernation mode. In other words, you are not violating any FAA rules by choosing Hibernate mode when they ask you to switch off electronic devices during take-off and landing. Your PC is just as "switched off" as if you had chosen the Shutdown option! TIP: If you want to use the laptop while on the aircraft, you must however turn off wireless internet on your laptop before you activate Hibernation mode (i.e. before you even board the aircraft). Thanks a lot for explaning how hibernate a computer, hard work and very well explained, what can do one without explanations than this. Thanks again. Anyway, as I can see you know more than I've said, while I'm travelling to VietNam in some airports you must released battery from laptop. The one I use, I'm sure you also know, is a dell M6500 and isn't a good idea travel with it for a long time hibernated, as even hard disks are basically disconnected are on function, any hit may damage severely them. With a computer over 5000â‚¬ is not good idea travelling with not completely blocked, sure also you know it. Hibernate a laptop is recommendable when you will come back soon and will not move it, but also this you'll know. All manufacturer recommend users if you are travelling, specially by plane, disconnect completely your computer and release the battery preventing any damage to internals components. I'm also sure you know it. But, as I've said above, life is life and what I can do is looking for my own way..... Said, uncomfortable but not impossible. Great work Lumion and amazing to play with it. Hibernate a laptop is recommendable when you will come back soon and will not move it, but also this you'll know. Hi tug, thanks for your reply. It sounds like you are mistaking Hibernate mode with Sleep mode? Did you read the Microsoft page in my previous post? To clarify again, the only difference between hibernation and shutting down is that in hibernation mode, the state of your programs is saved to your harddrive before shutting down the laptop. It basically writes the contents of the RAM (i.e. all program states and Windows settings) to the hiberfil.sys file on the C: drive, does a normal shutdown at the hardware level, and parks the harddrive head in the process. This is no different that just shutting down your laptop - the exact same components are turned off completely, including your harddrive. When the laptop is turned off via the hibernation option, it is 100% turned off, just as when you do a full shutdown. You can remove the battery after shutting down the laptop via the Hibernate option. After inserting the battery again, Windows will still be able to resume all programs in the exact same state that you left them in, and that includes Lumion. Please try it if you don't believe me. If you are still in doubt after reading this, please contact Dell and/or Microsoft to verify that the information that I have provided is correct. All manufacturer recommend users if you are travelling, specially by plane, disconnect completely your computer and release the battery preventing any damage to internals components. I'm also sure you know it. No, it's the first time I've ever heard this. So what about MacBooks then? The battery can't be removed from MacBooks. Does this mean that every time you fly with a MacBook, you risk damaging the internal components? I also can't find any information on the Apple, Dell, Asus or Lenovo websites that suggests that you need to remove the battery from laptops while you're flying - but maybe I haven't looked thoroughly enough? If you have some links to those recommendations on their websites, I'd be grateful if you could forward them to me. Claro Morten .... If you want waste a little of your valued time, I've no problem in copy you some aircraft safety rules, from some airlines I usually take. Fear (justifiable or not) of exploding Lithium Ion laptop batteries has led some airlines to implement restrictions. Virgin Atlantic is asking that Dell and Apple laptop batteries be removed when onboard. You can bring the computer but not the battery. If you are in coach, you're out of luck. The higher classes have power to the seat you can use to run the devices. QANTAS says you can use your Dell onboard, but if you still have a recalled battery you can power the computer with the aircraft power and the battery removed, but not the bad battery and aircraft power. Korean Air is reported to not allow Dell or Apple laptops to be used on the plane. According to AppleInsider, you can carry the device onboard, but the batteries must be checked .../..."
If you flight to China is usual at check-in remove completely the battery from laptop to scan it (Xiamen Airport, for instance). At HCMC airport is also common to force you to remove the battery from computer. In Kuwait city, my last trip, I have to remove also the battery when passing the scan control. In London in the same roundtrip, they also ask for me to remove the battery and pass again the scan..... I guess due the worstation I use is bigger than others and they aren't accustomed to these kind of laptop, or maybe I've had bad experiences or simply due I've been travelling a lot of times and the probability to find some problems is higger. Anyway Morten, we can be discussing for a very long time, I don't want to convince you to anything, only I said this new kind of security for me, as a person who must travell to many points where is complicate access to internet isn't confortable, nothing more and nothing else. If in a future will be change again and will be more confortable for me I'll be happy if not, I'll be upset a little, but always happily happy. You always have been grateful with my loyalty comments as I've done since early Lumion, this is only one more. It isn't an attack to Lumion as you seems took it. my best regards to you and all Lumion team as always. Hi tug, I am not seeing your posts as an 'attack' on Lumion. What made me concerned was that you wrote that the harddrive was still turned on in Hibernation mode and that it could be damaged while in transit. I just want to make sure that you understand that this is not true. In Hibernation mode, the laptop and the harddrive are 100% turned off and you can safely remove the battery. When you insert the battery again and start Windows, all programs (including Lumion) will be in the same state that you left them in, so you do not need internet access to use Lumion again. You can continue to use the Hibernate option for as many times as you like. In other words, it is not a problem if airport security staff members ask you to remove the battery. Now, regarding the quote about removal of batteries from Dell and Apple laptops, this was a reaction to the 'exploding battery' problem that resulted in the recall of 4.1 million Dell and 1.8 million Apple notebook batteries back in 2006. I have looked but I can't find any recent articles that confirm that this still applies to Apple and Dell laptops in 2012? In any case, as you mentioned, you are regularly asked to remove the battery from your laptop, and thanks to the link you posted and seeing how large your laptop is, I can see why they are concerned with large laptops. As an example, the FAA and TSA in the USA use the lithium content of a battery (Max 8 grams of Lithium per battery) to determine if it is allowed onboard an aircraft or not. As you also mentioned, your laptop is quite large, so I guess the airport security staff probably assume that the lithium content is high and therefore ask you to remove the battery as a precautionary measure. In other words, I have learned something new today - thanks for posting that link and thanks for your patience! I agree that it is not as easy to use Lumion 3 in areas without internet access as it was when we used Lumion 2 but I am not the person who decides how Lumion and the license system should work (this is up to Ferry/Remko/Arthur). All I wanted to do in my earlier posts was to help you by explaining that it is still possible to use Lumion in places without internet access if you use Hibernation mode (and even if you remove the battery).